Modric is not happy despite winning the 2018 Ballon d’Or award. Real Madrid midfielder Luka Modric has garnered the ire of fans for slamming football legends Portugal great Cristiano Ronaldo and Barcelona star Lionel Messi after they snubbed Ballon d’Or ceremony. Modric is not happy despite winning the 2018 Ballon d’Or award. Modric enjoyed a wonderful year leading Croatia to the finals of FIFA World Cup 2018 and helping Madrid to third consecutive Champions League victory. Modric also won the FIFA player of the year, UEFA player of the year and the Golden Ball at the World Cup. 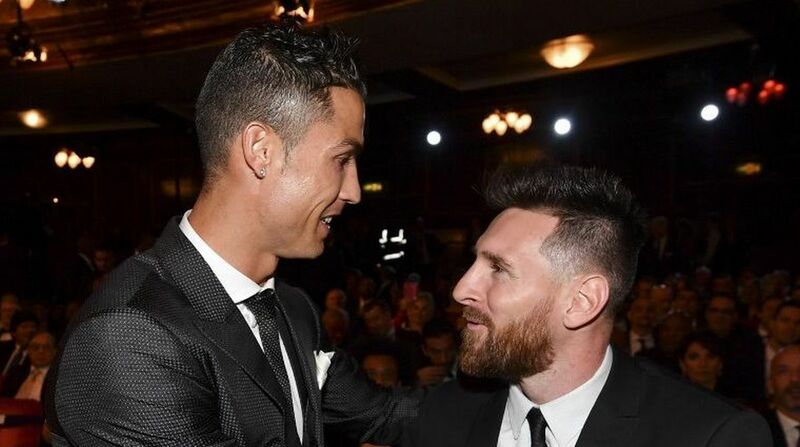 However, it seems the Croatian captain is unhappy that both the footballing greats of this generation — Ronaldo and Messi, decided not to show up at the Ballon d’Or award. In an interview with a Croatian newspaper, ‘Sportske Novosti’, via Daily Mail, Modric hit out at both Messi and Ronaldo for snubbing the Ballon d’Or. Modric even went on to say that Ronaldo and Messi only show up when they win, which was not an exemplary attitude from both the players. “I cannot speak about why someone didn’t turn up at an award ceremony, it’s their choice. It doesn’t make sense, does it? It seems these votes and awards are only significant when they win. It’s unfair to fellow players and voters who have nominated them in the past 10 years, as well as to football and the fans. However, people will act the way they think they should,” Luka Modric was quoted as saying. Though Modric ended Messi and Ronaldo’s reign by winning the Golden ball, many football fans are still not convinced that he deserves the title. Lol, it’s actually insulting for them to be in a room where there was going to be an announcement that Modric was better than Ronaldo and Messi in the year under review. No one likes to be disrespected. It has value when the best players win them. Messi went when Ronaldo won and Ronaldo went when Messi won. NEITHER turned up to your fake BS. You’re simply not the best player 2018 and that’s a fact. Still putting respect on this guys name, however, Messi and Ronaldo are a cut above those. We have players at this level today; KDB, Modric, Aguero, Silva, Salah, Hazard, Bale and probably a fair few I’ve missed.